National Museum of Bermuda Press has launched Volume 21 of the Bermuda Journal of Archaeology and Maritime History [BJAMH] which is available to purchase for download on the National Museum of Bermuda website [here]. The latest edition of the Journal comprises ten articles offering a diverse collection of historical and archaeological examinations of Bermuda by local and overseas scholars. Subjects in this volume range from 19th-century prisoner of war ships and shipwrecks, to the socio-economic context of 18th-century Bermuda livestock, the 17th-century Chinese porcelain trade, Bermuda’s explosive military history, gravestones, and Second World War submarine history. Transcriptions of the Governor’s Council Minutes are also included. 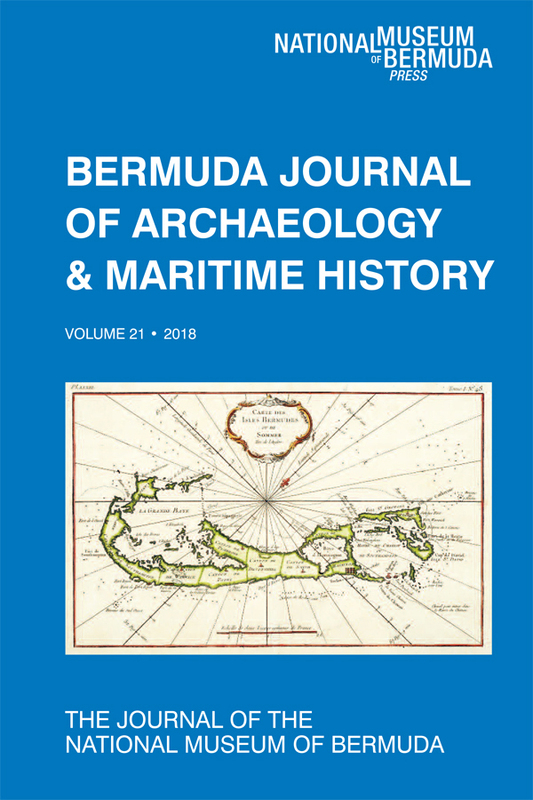 First published in 1989 as a successor to the Bermuda Historical Quarterly, the Bermuda Journal of Archaeology and Maritime History is a multidisciplinary journal that publishes articles on archaeological and historical research related to Bermuda. Covering a wide range of topics including slavery, smuggling, shipwrecks, military and naval history, whaling, and agriculture, the Journal has become an essential resource for any researcher examining Bermuda’s history and its connections with the wider Atlantic World. The National Museum is currently in the process of digitizing the previous 20 volumes of BJAMH with the aim of making the entire catalogue with a total of 175 individual articles available online for purchase and download. With the object of raising the academic standing of the Bermuda Journal of Archaeology and Maritime History co-editors Dr. Clarence Maxwell and Dr. Deborah Atwood have invited leading experts from around the world in the fields of history, art, and archaeology to form an Advisory Board. The Board will advise on the direction and scope of the Journal and review papers submitted for publication. This peer-review process will ensure that all articles submitted exemplify the best research practices in the field and will further establish the Journal as one of the leading academic resources on Atlantic World history and archaeology. Volume 22 will be the first volume to undergo this review process under the Advisory Board’s direction. The co-editors and Board welcome all submissions to the Journal. Please email curator@nmb.bm for information on submission guidelines. BJAMH Vol 21 was generously supported by Richard D. Butterfield and Susan Butterfield.